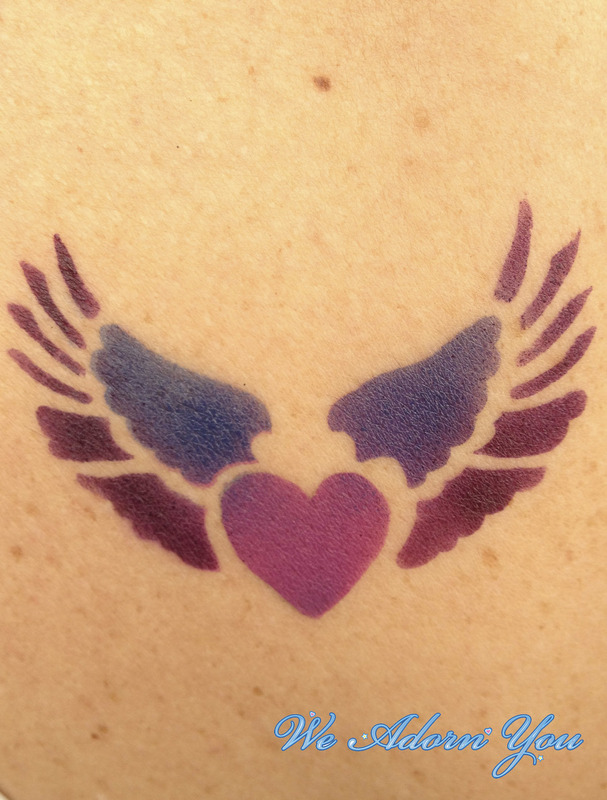 Airbrush tattoos can crank up the fun factor for your next party or event in New York City. Invite We Adorn You to your celebration and our airbrush artists will provide elegant or whimsical airbrush temporary tattoos or body art for your guests. The tattoos are created with alcohol based makeup, can be applied quickly, dry right away, are waterproof and will last 3 to 7 days. We have many designs to pick from and we also offer custom stencils, which can be made specially for your party.